It is soft, bright and glows at night. 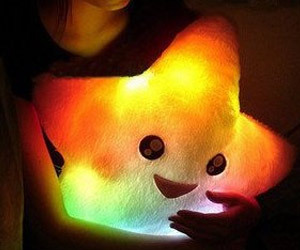 Star Design LED Pillow with smile face sparkle in colors during night time. This for sure is fun before you crash for the night.